His 2002 book, Galactic Alignment: The Transformation of Consciousness According to Mayan, Egyptian, and Vedic Traditions was released with Inner Traditions International (Rochester, VT) in August 2002. His new book, co-authored with Marty Matz, is called Pyramid of Fire and was released in November 2004. He also facilitated the translation of The Key to the Kalevala by Pekka Ervast, editing and writing the introduction for it. This classic text on Finnish mythology was published with Blue Dolphin Publishers in 1999. In 1995 John was appointed literary executor for Eino Friberg, Finnish-American poet and translator of The Kalevala, the national epic of the Finnish people. 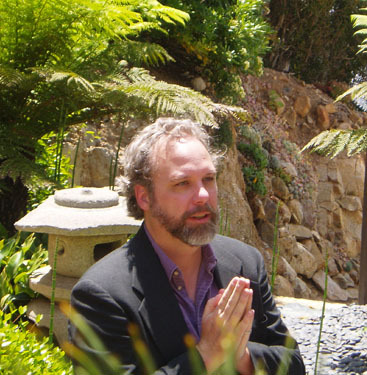 As a visiting scholar, Jenkins has taught classes at The Institute of Maya Studies in Miami, The Maya Calendar Congress in Mexico, The Esalen Institute, Naropa University and many other venues both nationally and abroad. He has been interviewed on numerous radio and television shows, including the Art Bell show, the Laura Lee show, Dr. Patricia Hill's The Changing Paradigm, and has appeared in documentaries on Native American prophecy and the millennium such as The Fifth Gate (Milton Media, Denmark) and Earth Under Fire (Conscious Wave Video).